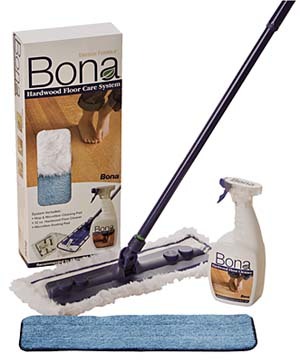 Bona Microfiber Mop (4″ x 15″) with 3-piece handle and easy to maneuver swivel head. 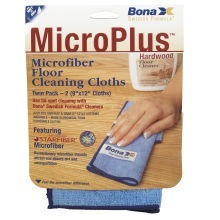 Includes the Bona Microfiber Cleaning Pad reusable and washable up to 300 times. 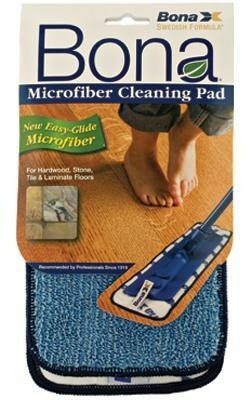 Bona Microfiber Dusting Pad (4″ x 15″) – The Microfiber Dusting Pad is designed for dry dusting on both the Hardwood and Stone, Tile & Laminate floors. Its “Super Electrostatic Action” attracts and lifts dust, pet hair, microparticles and common household allergens from your floors’ surface. Reusable and machine washable up to 300 times. More economical than disposable dry dusting pads.